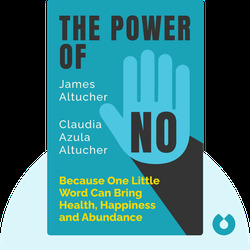 The Power of No (2014) offers a holistic, intuitive approach towards health, abundance and happiness: Say no to the things that are causing you harm and slowing you down so that you have the energy to say yes to the things that you find uplifting. James Altucher is an entrepreneur, chess master, spiritual teacher and writer who has written twelve books, including the best sellers Choose Yourself and I Was Blind but Now I See. 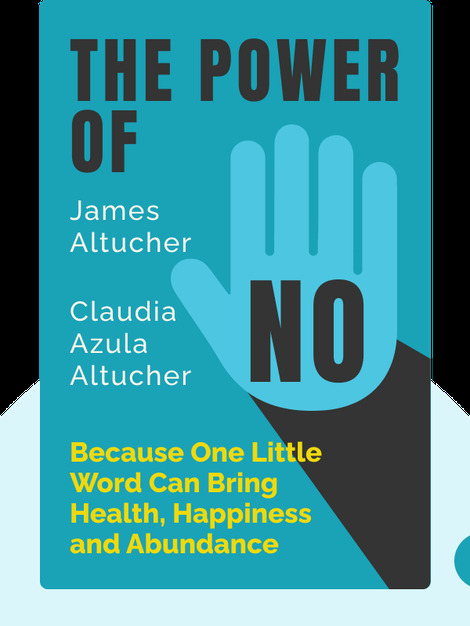 Claudia Azula Altucher is an author as well as a teacher of yoga, meditation and spirituality. She is also the author of 21 Things Before Starting an Ashtanga Yoga Practice.